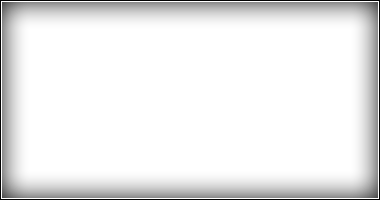 A maker of web templates. 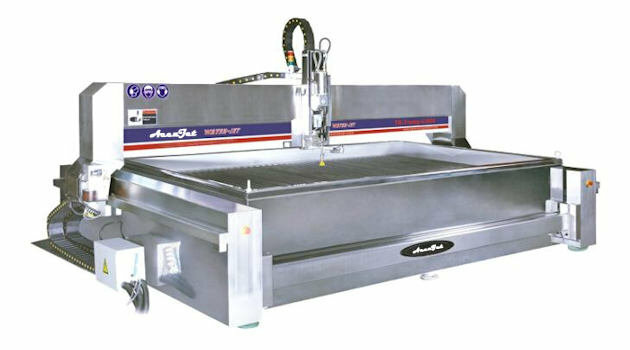 We are excited to annouce our new line of Water Jet Cutting Machines. 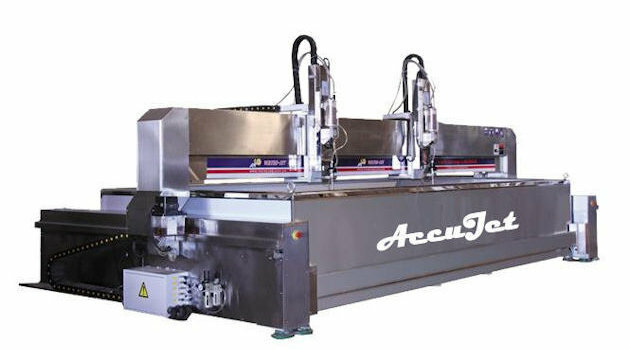 "AccuJet water Jet Cutting Machines"
We are proud to annouce our new AC Servo working at 3000 IPM with our new Controller the iCNC Performace control. We are now showing our 2018 line of HVAC cutting Machines. All new Gantry with New Dual V rail system . We started back in the mid 80's repairing Servo Drive Systems and CNC Systems for cutting machines made by our competitors and it didn't take us long to see some of the short falls of the cutting industry. 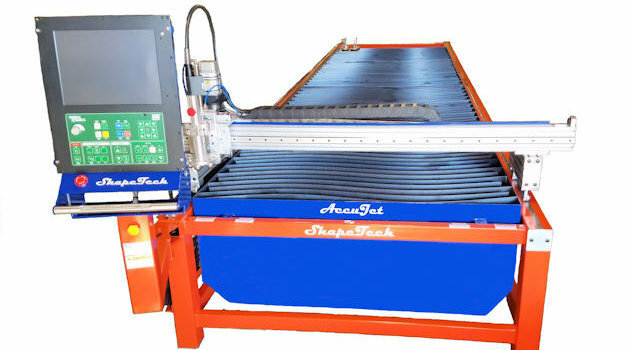 Then we saw the need of the cantilever machine and the gantry machine to become the New shape For Shape Cutting Machines. So we took the Loading ease of the cantilever machine and the sturdiness and accuracy of the Gantry and designed the "Inset Rail Machine". Tucking the rails under the table made it possible to have a smaller rail footprint while giving a wider cutting profile. Made a safer work environment for the operator. Took up less floor space on the plant floor. 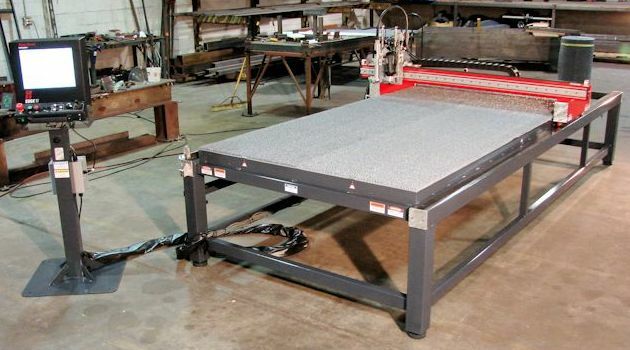 In 1990 we introduced the "Inset Rail Design" with the introduction of our 2000 Series cutting machines. Finally a gantry style machine with the cantilever feel. 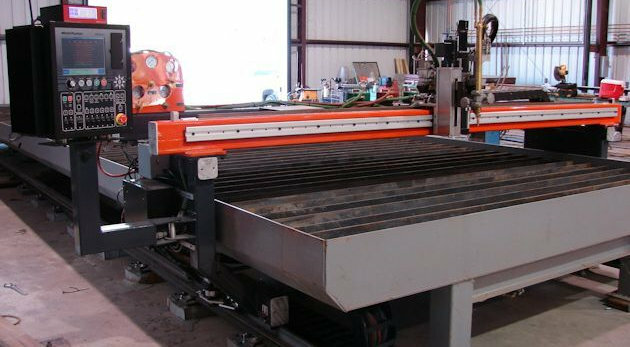 This designed allowed the customer to have a gantry machine they could Load or Unload with the ease of a forklift. This design also allowed the operator a safer work environment because now he didn't have to be trapped by rails or trip over the rails or even have to crawl over the rails because now they where under the table. Now dropping a plate would only land on the table not the rails. 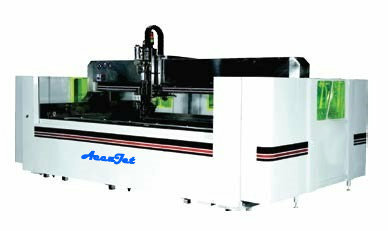 Then came the 2100 Series machines with Inset rail design and Beam Forward Design. 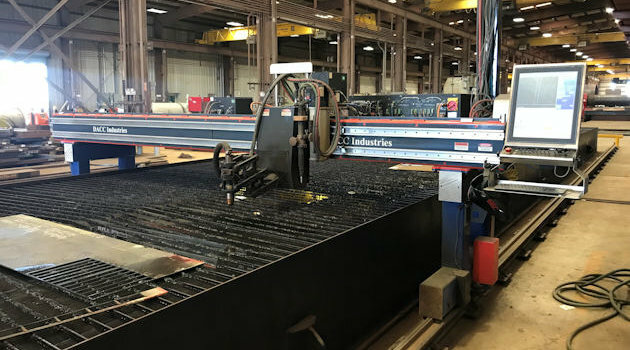 Our custom 3000 and 3100 series machine where conceived from customers that had long time machines and where ready to replace the gantries and wanted to keep there rail and machine location the same. We are now introducing our new website we hope there are no problems and we are working to provide more information soon...Please pardon the things you may find not working. We are working to get every thing together. The Inset Rail Design by DACC Industries creates a safer work inviroment for the operator and the fact you can use a forklift to load and unload the table..
AccuPlasma and AccuLiner for the HVAC cutting was the first at 2000 IPM Traversing with no "wiggles and no Jiggles"
See our New line of Water Jet Cutting Machines! 2018 HVAC Cutting machines. Check out the new Combo cutting machines. 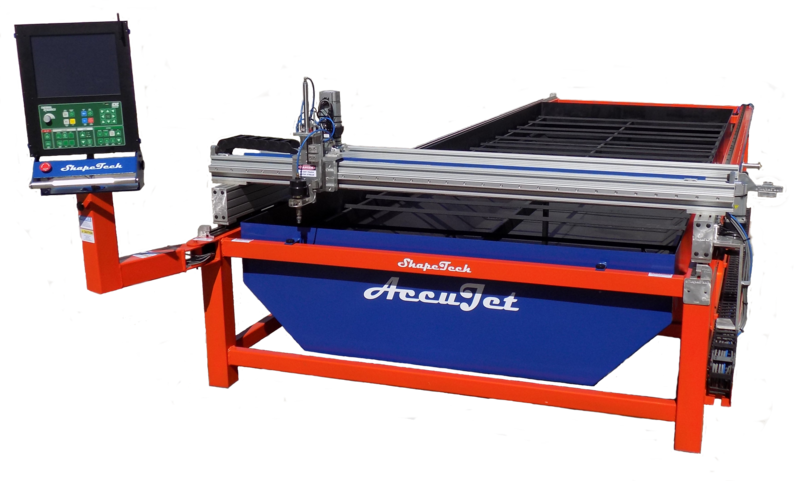 Introducing our new line of AccuJet Water Jet cutting machines. 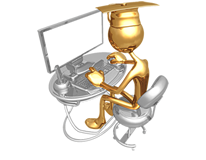 Join the DACC Team for free Technical Support. 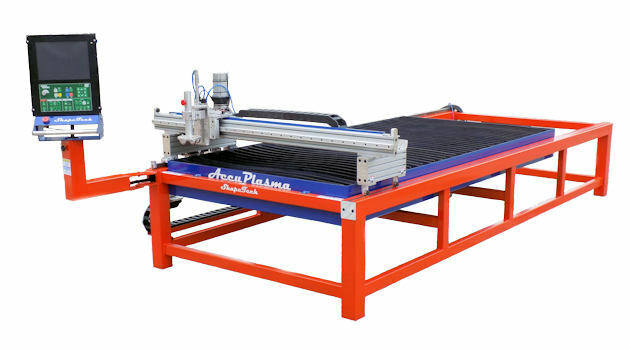 Introducing our new water only WaterJet Cutting Machine. The Leader in New Shapes for Shape Cutting Technology! 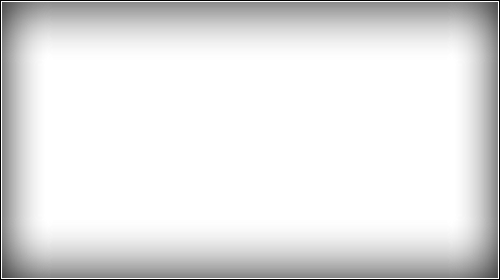 ©Copyright 2018.LPCII,LLC All Rights Reserved.